You mainly play as George, but you switch between him and Nico while investigating. The two sleuths hop back and forth between Paris and London. The order in which you procure these items is up to you. At times, you may only have a few clues, leaving you to scour the environment for more evidence necessary to drag information out of your target. Typically, all the evidence required to move the plot along is in your vicinity, if not already on hand. Any and all items in your inventory can be used in a conversation, sometimes to humorous results. The puzzles in Broken Sword 5 are not too strenuous. Most of the time you already have everything in your inventory needed to complete a puzzle; otherwise, a quick hunt around the area yields what you need. The game plays a musical note when you’re making progress in a puzzle or in your interrogation, cluing you in on when you’re on the right path. The plot doesn’t advance until you find every item or piece of evidence in the area, press the right series of switches, or receive an answer to all questions available. But if you do find yourself stumped, there’s an optional hint system. The first hint or two gently nudge you in the right direction. If you still come up empty, the final hint presents the puzzle’s full solution. The various settings are designed with colorful, hand-painted graphics, and the cel-shaded characters blend effortlessly into the gorgeous scenic backdrops. Though Broken Sword 5 is aesthetically pleasing, it’s hard not to notice the stiff and somewhat primitive animations, which are distracting compared to the game’s overall beauty. Broken Sword 5’s rich and vibrant world is complemented by characters who are interesting, entertaining, and often hilarious. The subtle nuances of their personalities shine through every conversation, and a great vocal cast makes each character believable and memorable. George and Nico’s latest adventure is fraught with murder, sabotage, and a seedy love affair. Some of the standout characters include the returning Sergeant Moue, who plays lapdog to the bumbling Inspector Navet. There is also a stereotypically snooty Frenchman who stands guard at an empty cafe while quoting philosophical advice. Also starring are a lecherous art critic and a young man who needs presentation advice for his mobile shop of trinkets and collectibles. The many varied and unique characters reinforce the depth of the game’s narrative, and the two protagonists demonstrate a particular chemistry that makes their longtime history feel convincing. 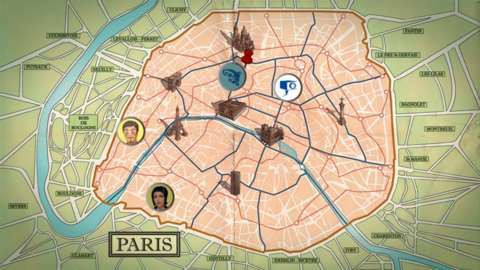 You are provided with an in-game map, but Broken Sword 5 keeps aimless wandering down to a minimum. There was never a moment when I stared at the map screen not knowing my next destination. Even when you choose the wrong direction, the game comes up with a reason for you to turn back and try the opposite route. Some adventure game fans may be turned off by the linear focus, but I felt the design allowed the narrative to move with a strong pace and clear direction. 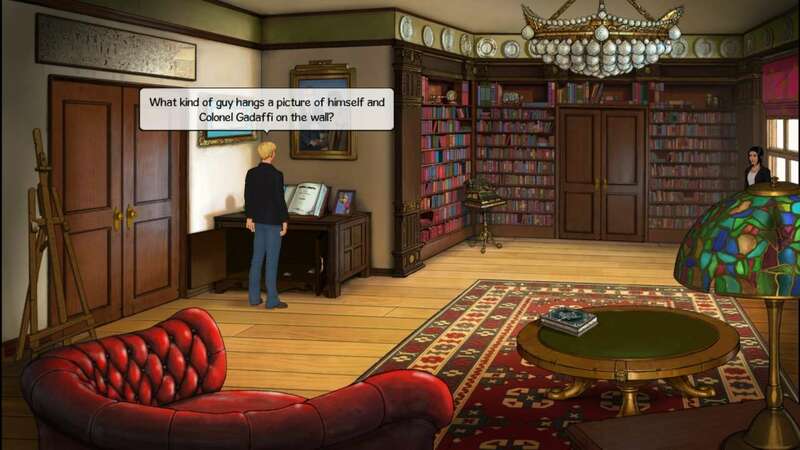 Just how deep the rabbit hole goes is the one mystery Broken Sword 5 doesn’t shed light on. After about six hours, the game abruptly ends just as things start heating up for our stalwart heroes, leaving more lingering questions and theories than hard answers. The game is the first episode of a two-part adventure, meaning we won’t get to the bottom of the conspiracy until sometime early next year. 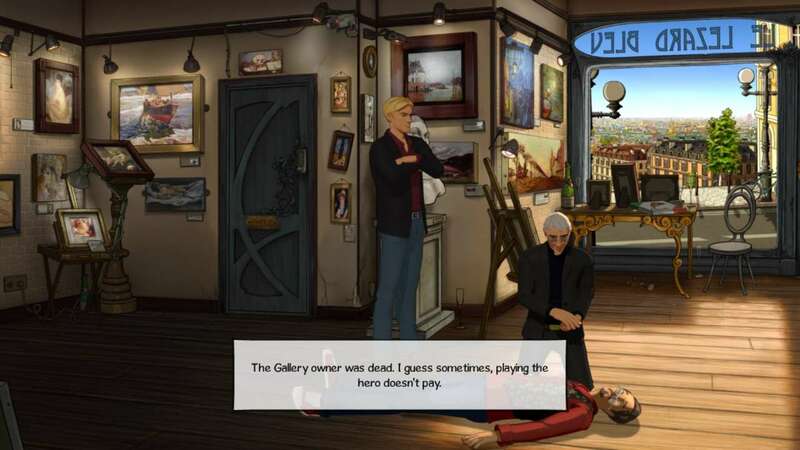 Smart, occasionally funny, and immediately charming, Broken Sword 5: The Serpent’s Curse is easy to recommend based on its strong narrative, memorable characters, and artistic merit. The game is a vibrant return to form for the series, and should easily please the series’ and point-and-click adventure game fans alike. The answers to the most pivotal questions remain on the horizon, but it’s still good to see George and Nico back in action–they have been missed.